After admitting that it had been purposely throttling the hell out of video streams to AT&T and Verizon customers without their knowledge as a way to save them from themselves and the overpriced, data lame plans they had been forced into in recent years, Netflix is now ready to let those customers control their own fate. 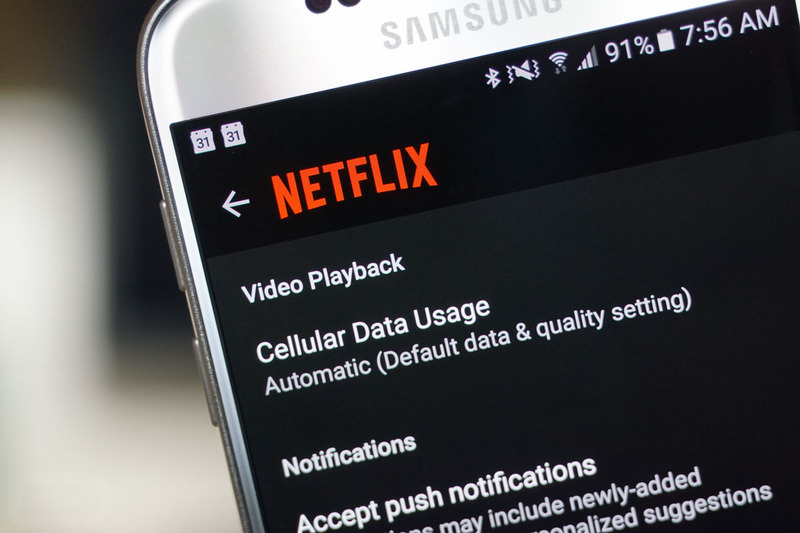 Through simultaneous blog posts and app updates released this morning, Netflix customers across the globe can control cellular data usage on a number of levels. Out of the box, Netflix is set to an “Automatic” setting, which sets the quality of Netflix streams to usage of about 1GB of data per 3 hours streamed (600kb/s). 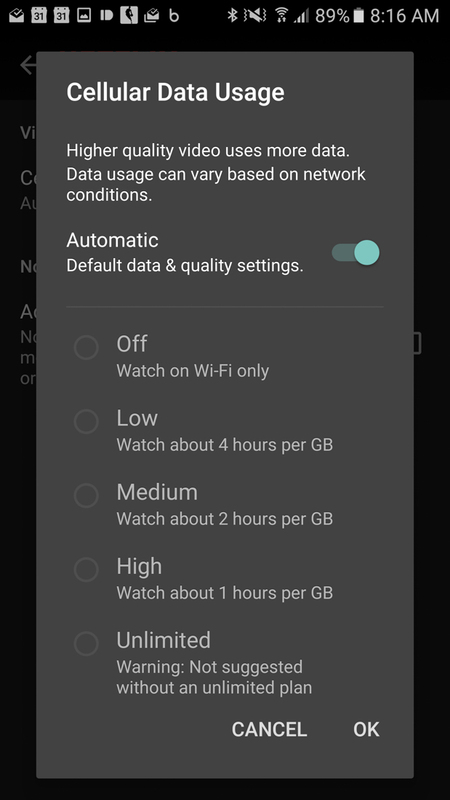 Netflix says that this setting “balances good video quality with lower data usage” while helping you avoid crushing the monthly data bucket that greedy US carriers give you. If you have a large data bucket and aren’t worried about hitting your cap, you can also choose from Low, Medium, High, and Unlimited settings. At Low, you will use about 1GB per 4 hours. At Medium, you are looking at about 1GB per 2 hours. At High, the quality is high enough to run you through 1GB in 1 hour. And at Unlimited, Netflix is only going to warn you that an unlimited data plan is probably required here. 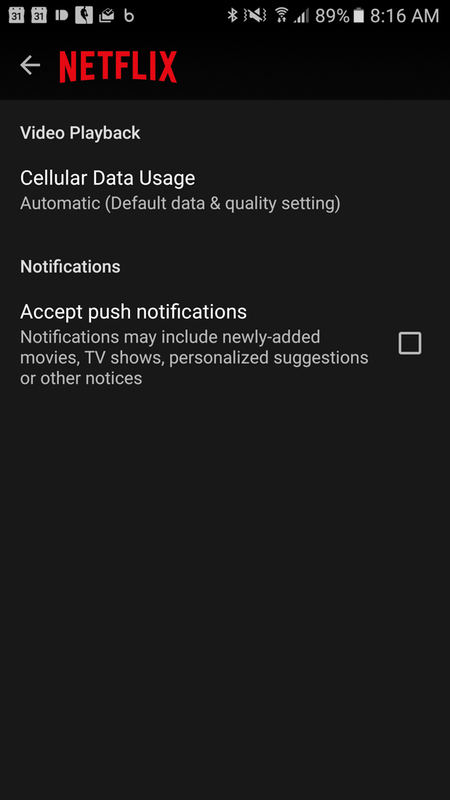 Keep in mind that you can also restrict the app to an Off setting that only lets you watch Netflix on WiFi.